For Mental Health Awareness Week we’re looking at the importance of self-care. Today marks the beginning of Mental Health Awareness Week, an annual campaign run by the Mental Health Foundation created to help raise awareness and eradicate stigma. 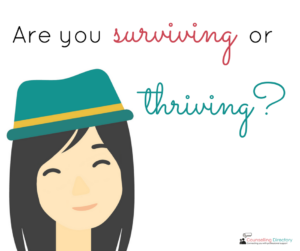 This year the campaign is centred around whether or not we are ‘surviving’ or ‘thriving’. We’re not taking enough time for self-care. Many respondents said they struggle with their financial situation. Financial strain can have a huge effect on our well-being and is probably the trickiest area to improve without support. Remember there is always help available, try contacting the Money Advice Service for free, impartial advice. Another area of concern for respondents was health. We obviously talk a lot about mental health here at Counselling Directory, but your physical health has a direct impact on your well-being. Eating well and being physically active both fall into the remit of self-care, so remember to add this to your list. 16% of respondents feel they’re struggling with their relationships. Having positive relationships can lift us when we’re down, so dedicating time to improve your relationships should factor into your self-care practice. Alone time gives us the space to process our thoughts and the time to do what our bodies and minds need. Look to schedule some ‘me time’ where you can relax, reflect and rest. As important as alone time is, staying connected and spending time with loved ones is another important part of self-care. Nurture your relationships and take time to have fun together. As we have previously mentioned, exercise is important for both physical and mental health, so should not be forgotten when tackling self-care. Try to find an activity you enjoy and have fun doing. Worryingly 7% of our respondents said the never practise self-care. If you struggle to find time, try to incorporate small actions that can become habits. For example, every morning before getting up you could spend five minutes meditating on what you want from your day. We know small actions like this won’t necessarily stop us from feeling down or struggling with mental health, but they can help us feel more able to cope during times of ‘survival’. Put yourself at the top of your priority list and remember that you can’t pour from an empty cup. 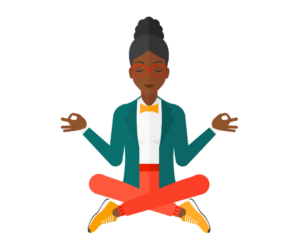 If you’re struggling, speaking to a professional can help you identify ways to self-care and help you navigate difficult emotions.